Previously I covered all the ‘Best traditional places to visit in Holland’ but now I want to show you a more modern side of the Netherlands. This way you can decide for yourself how you want to shape your partner programme or aftermeeting activities. This museum located on the Dam in Amsterdam is probably a well known concept for most of you, as the wax statues are tob e admired in museum all around the world. The one in Amsterdam doesn’t just let you take your picture with international celebtities, but also with Dutch VIPs. 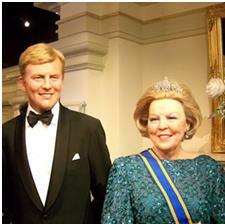 And what;smore fun than coming home with photo’s of you and the Dutch queen? Take a look here at all the celebrities you can take your picture with, and book your group arrangements. The Netherlands Institute for Sound and Vision (‘Nederlands Instituut voor Beeld en Geluid’) collects, preserves and opens the audiovisual heritage for as many users as possible: media professionals, education, science and the general public. Sound and Vision (‘Beeld en Geluid’) has one of the largest audiovisual archives in Europe. The Experience shows the wonderful world of television. Temporary exhibitions also take place here. Visitors can read the news, be a real star on stage or act in a soap opera. Dutch radio and television personalities virtually show the visitors around in the world of radio and TV. They get a glimpse behind the scenes and learn about life in the spotlights. Fun and getting to know the country you visit go perfectly together here. Discover the world of the world famous, Dutch beer company, Heineken! Why they aren’t the Heineken Museum but Heineken Experience? Because four levels of interactive experiences in the former brewery will plunge you chin deep into the fascinating world of Heineken! See it, hear it, smell it, taste it and enjoy it. It is really fun to go to, I already went there 5 times. The Euromast really offers everything you need for your meeting. You can sleep 12 meters high, have drinks or dinner with a stunning view of Rotterdam and for those looking for some excitement after their meeting……abseiling of robe sliding all the way down from the Euromast! Enjoy both view and ultimate kick of Rotterdam at the same time. Nothing better than goofing around in the snow! You can go skiing or snowboarding all year round in the Netherlands. 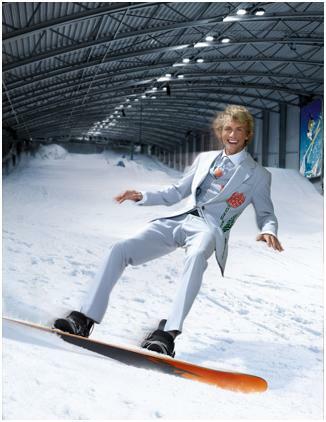 We have Snowworld locations throughout the Netherlands where you can take skiing or snowboarding lessons, or just rent your gear and take on the white slopes by yourself. Perfect for team building and relaxation.